TEHRAN (Tasnim) – Academy Award-winning music composer Allah-Rakha Rahman has embarked on writing music for a big-budget Iranian movie on the life of Prophet Muhammad (PBUH). Indian musician A. R. Rahman, who won Oscars for original score and original song in Danny Boyle’s “Slumdog Millionaire” in 2009, is composing the music for Iranian filmmaker Majid Majidi’s latest movie. Known for his musical versatility, Rahman has innovated with different instruments and sounds to create some of India’s best-known musical hits for nearly two decades. The use of eastern themes in Rahman’s music has apparently made Majidi to single out the renowned Indian composer for his latest movie. Oscar-nominated Majidi had announced earlier that his latest movie on the life of Prophet Muhammad (PBUH) is expected to premiere in the second half of the current Iranian year (September 23, 2014 – March 20, 2015). The famous Iranian filmmaker said in a note obtained by the Tasnim News Agency in January that the main motive behind his grand cinematic project was to debunk the extremist moves by those who resort to violence in the name of Islam. The movie is now in its post-production phase, as the work on the special effects and music composition are also underway with the utmost care, so that, as described by the director, it would have the merit of a movie about the great prophet of Islam. Produced by Mohammad Mehdi Heidarian, the film has been set to be released in Persian, Arabic and English. Majid Majidi is an internationally and critically acclaimed Iranian film director, film producer, and screen writer whose films have touched on many themes and genres and has won many international awards. 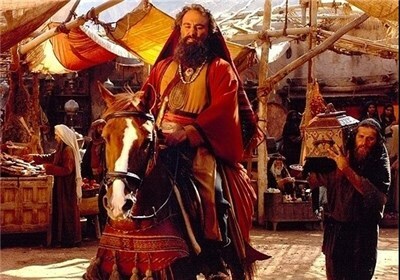 His acclaimed film, Children of Heaven (1997), was the first Iranian film to have been nominated for an Academy Award (Best Foreign Language Film) in 1999. Majidi’s 1999 film ‘The Color of Paradise’ was chosen one of the best 10 films of the year in the US in 2000.